Mood Stirrer Sticks are 6″ long. A colorful way to advertise your logo or message. 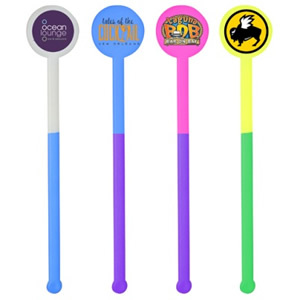 These attention grabbing Mood Stirrers change color with ice cold liquids. Made in the USA. Sample of 1 Spot Color Imprint shown above. Sample of Full Color Imprint shown below. 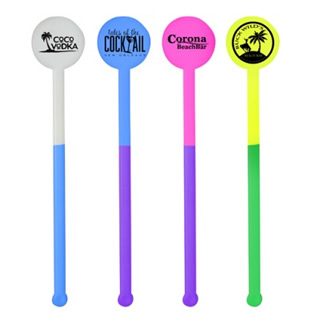 Mood Stirrers are 6″ long with an imprint area of 15/16″diameter. We offer many other Color Changing Mood Products.